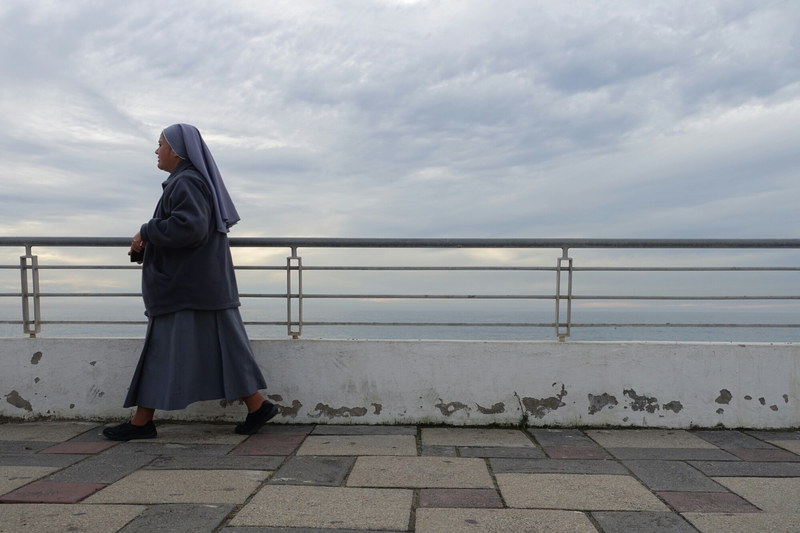 A nun walks along the promenade by the beach in Viña del Mar, Chile. 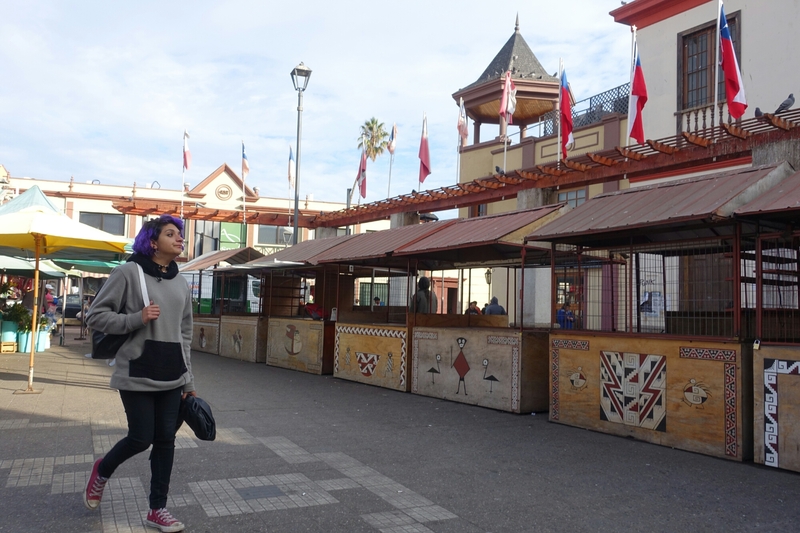 A girl with purple hair walks past some empty stalls in front of La Recova, a local crafts market in La Serena, Chile. 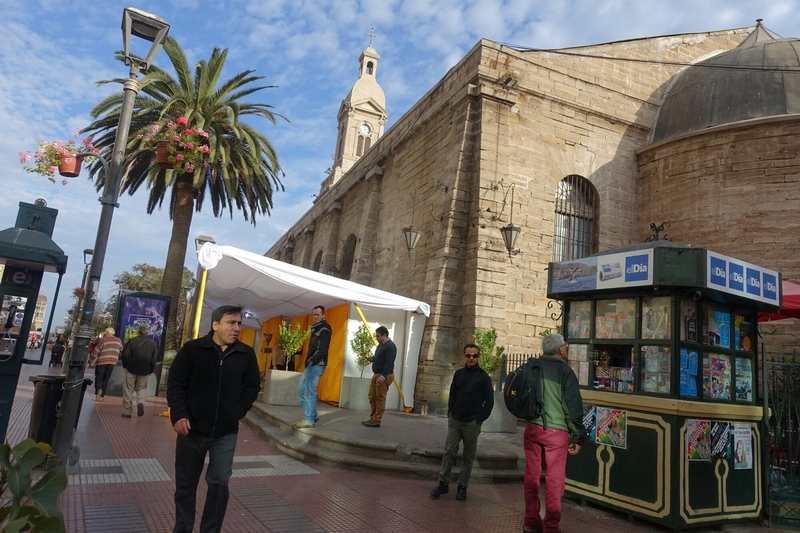 The streets stir with early morning activity near Iglesia Catedral in La Serena, Chile. 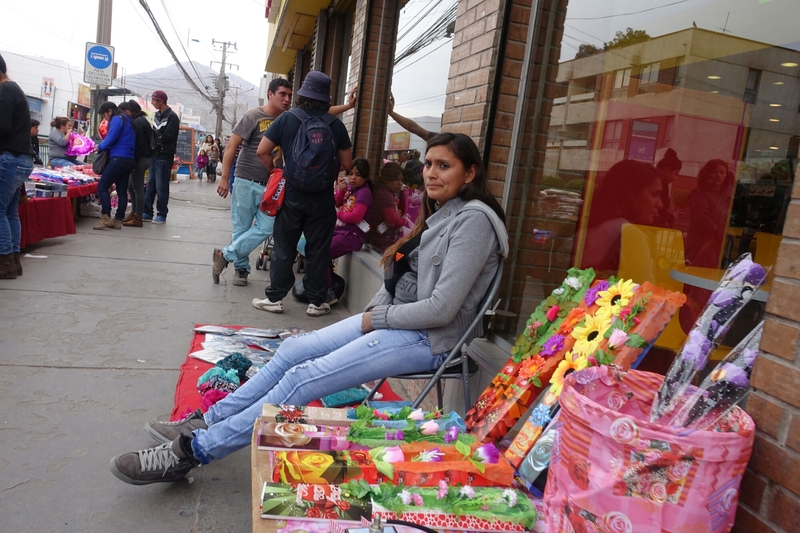 A lady selling brightly packaged flowers on a cloudy day in Copiapó, Chile. A lone palm tree stands up from behind an empty lot in the desert town of Copiapó, Chile. 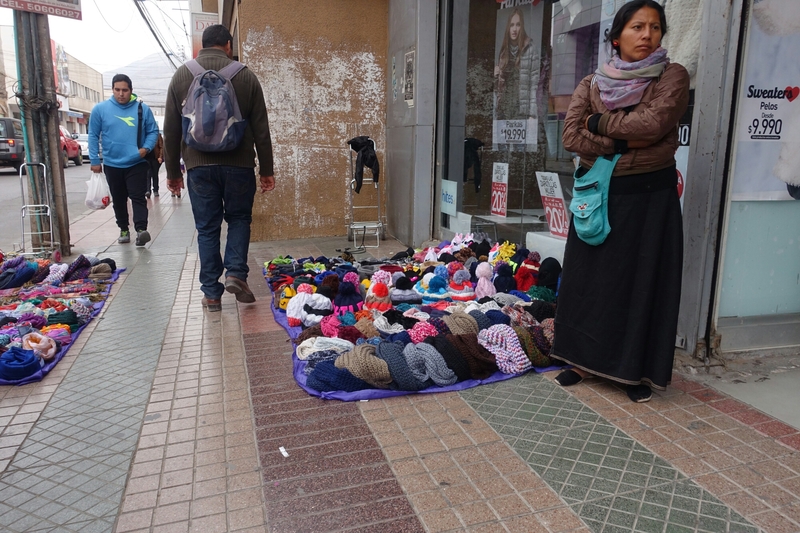 A lady with hats and scarves for sale in front of a clothing store in Copiapó, Chile. New and old architecture, Centro Cultural Atacama and Iglesia San Francisco, sit side by side in Copiapó, Chile.